Board of directors voting procedures is changing dramatically with modern, secure technology. For decisions that need to be made outside of regular board meetings, a virtual voting tool integrated into your electronic board portal is important. 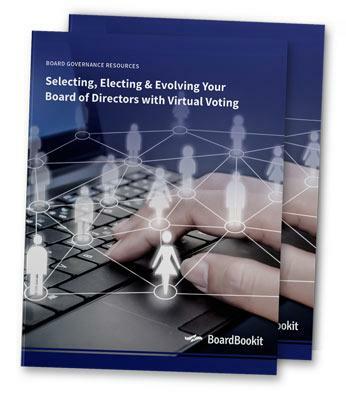 This guide explains how you can transform your board of directors’ voting procedures, integrate an intuitive virtual voting method, and why email voting is not a secure option for your board.